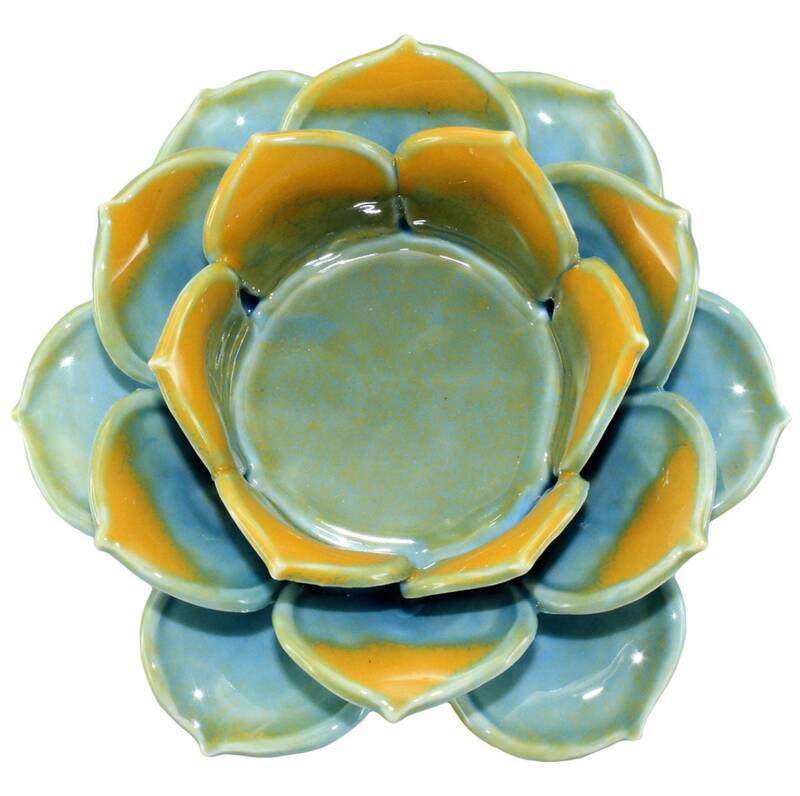 Use your tea lights in this lovely blue lotus flower candle holder with gorgeous accents of gold blended in. 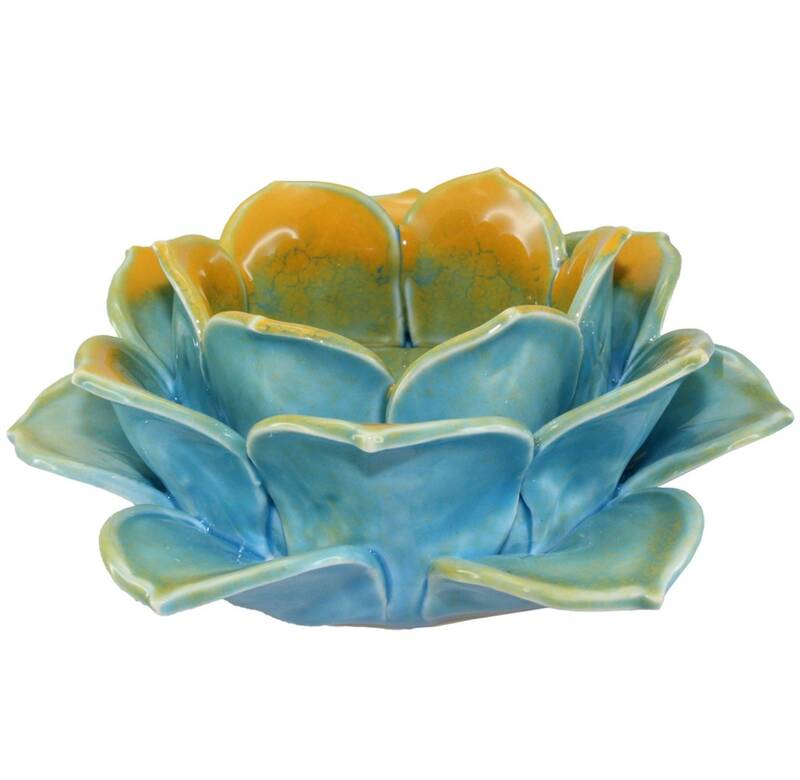 Porcelain finish has a luxurious feel. This is a really beautiful piece.